Sandi here today. I'm excited to be sharing my newest canvas. Doing canvases are "liberating" for me because I can just create without worrying about any associated photo. 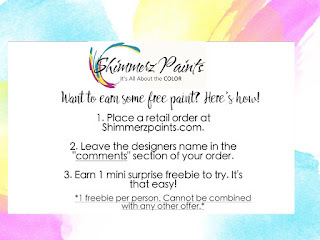 Here at Shimmerz Paints we are doing another Color Challenge this month and this time I chose Spritz Plum Pudding. Our DT coordinator asked us to choose something that we normally would not use. For me that is usually more of the pinks and purples. I tend to use lots of earth tones instead. Also, we were supposed to go with a Winter theme. 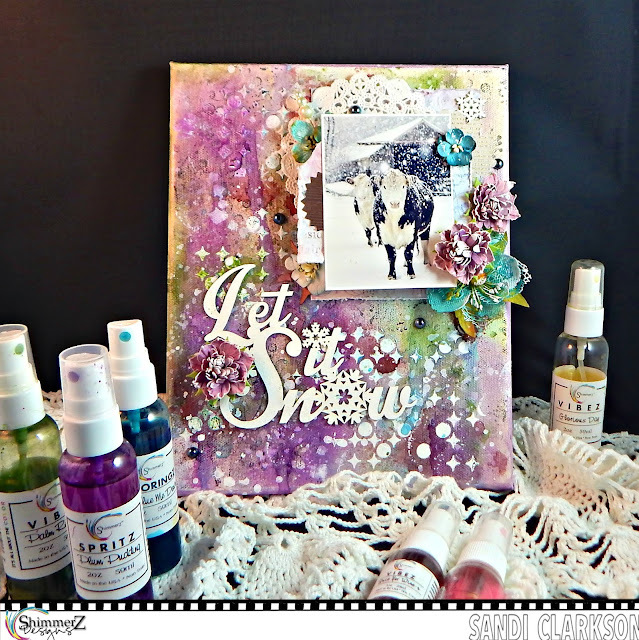 To re-inforce the Winter theme, I added a chipboard title from Creative Embellishments that says "Let it Snow" and simply painted it white. This side angle helps to highlight the beautiful shimmer of all the colors. I used 6 different colors (listed below) on my canvas by spraying them and then letting the color drip downward. At times, I had to move them a bit with water. For the purpose of this challenge, I went heavier with the Plum Pudding Spritz since that was my chosen color. Some areas got a heavier shot of spray that I allowed to puddle such as Vibez Quit Yer Wine-n. That made it more intense and added some drama. For texture I pushed some super heavy gesso through a stencil. Of course, I had to do some background stamping to add depth and visual interest. The dark purple right beneath the title is the Plum Pudding ... in case you haven't found it! And there is the Coloringz Well Blue Me Down over on the far right, a lovely teal. I love jazzing up my canvases with complimentary colors, so you can see the Vibez Palm Reader, Vibez Glorious Day and Vibez Pop Art Pink. The rich wine you see is the Vibez Quit Yer Wine-n.
Lastly, I added a stock photo, some layers, florals .... a few pearls and called it done. Again, thanks for coming by today. 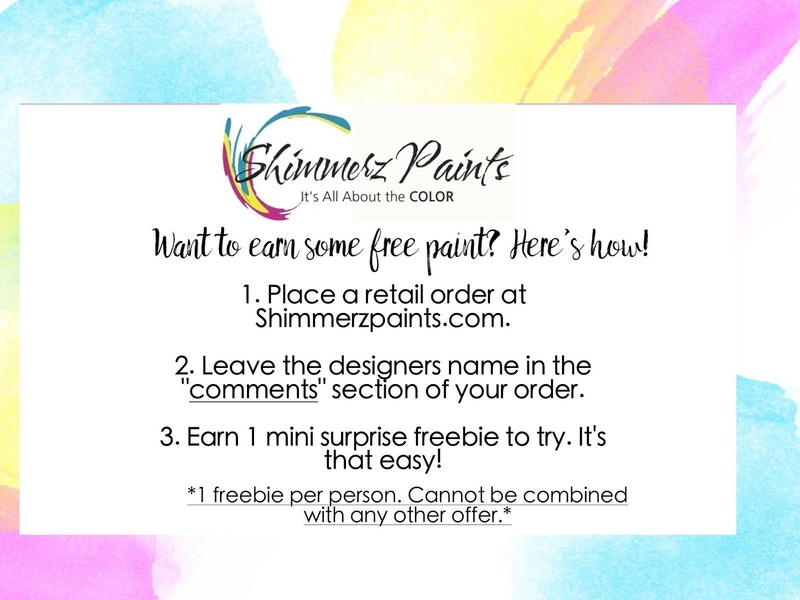 We hope you'll join along in the Color Challenge! 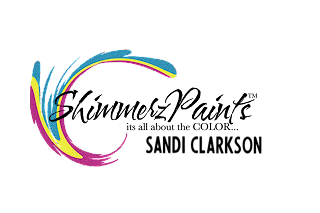 Be sure to mention my name SANDI if you do some retail shopping and Stacey will include a little freebie for ya!